Cleaning shower tile and sealing them is something you should be doing at least once a year, whether there're natural stone or ceramic tile. All that water in an unventilated space is the perfect place for mildew and fungus to grow and of course soap scum doesn't clean up easily. 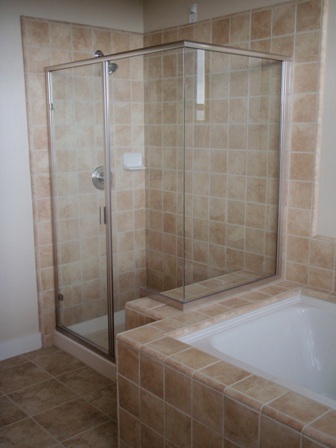 For us the biggest challenges with cleaning shower tile, is the soap scum build-up. We use MB-3 Soap Scum Remover for cleaning showers and it cuts soap scum build-up with ease. 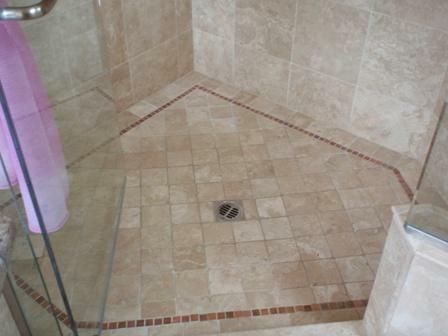 Our recommendation for maintaining shower tile is to use a squeegie to wipe down your tile surface after each use. It's not hard to clean your shower tile and if you keep it sealed properly, you shouldn't have to worry about unwanted stains. 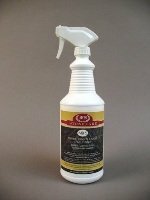 If you have mildew in your marble, travertine or any tile shower area, try MB-9 Mildew Stain Remover to help kill and remove any mildew that has started to grow. 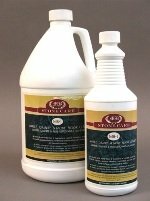 If you aren't sure if the cleaner is safe to use on your natural stone tile, test in an inconspicuous area before applying to the stone surface. Cleaning shower tile is pretty much the same across the board. If it's natural stone like marble, limestone or travertine, make sure to use a stone tile grout cleaner. 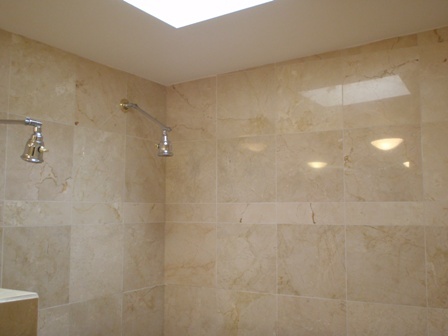 Soap scum will be the hardest part to clean as it's invisible to see, and acutally dulls polished marble tiles. 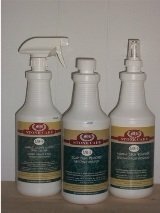 For all other soap scum removers, spray on your cleaner from top to bottom. You're going to have to keep wetting the walls, as you want to let the cleaner start to emulsify the soap scum, mildew and dirt. 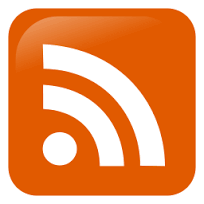 Scrub the shower tiled walls with bristle pads and rinse with hot water several times. Even with a soap scum remover you will see that it won't dissolve or scub off very easily. One way we deal with this problem is by scraping the shower tiles with new 3 inch razor scrapers. If you decide you want to do this, be very careful not to scratch the tiles. Once the soap scum is removed, you will see the tiles return to their original color. When it comes to cleaning shower tile or just maintaining natural stone and tile and grout, we strive to help educate our customers on the best protection they can have, helping them save time and money in costly restoration costs down the road.